Taken while out with Milou at West Wittering, we were battered relentlessly by wind and sand. I’ve seen this somewhere else, too. Yours is closer in than that one was and you shot at more of an angle. Both were good choices. The blowing sand is very interesting as well. Very nice work, sir. Gritty stuff. Certainly caught that sand blowing across the beach, and the shot has your distinctive touch. I like the edge to edge beach huts. 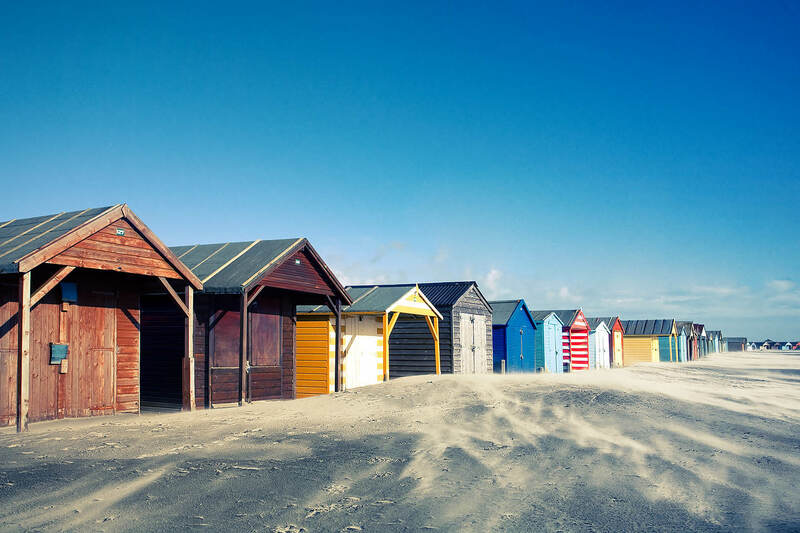 I love those colorful beach huts. I had shot some similar ones a couple of years ago. Really nice use of the colours but I think its the swirling sand that makes this shot for me. Wonderful colours in this; a great scene! A fantastic subject. Love the processing here, gives it a very 60’s feel. Great photo. Our friends have a beach hut at West Wittering and practically every time they visit it they have to dig their way in! Your 1st photo reflects this really well.